Whenever we come across deletion of emails in Outlook PST file, we ponder here and there in search of a remarkable and effective Outlook Recovery tool. We think that’s the only solution which will help out of the disastrous situation. Without going for the third-party help, we can still assure ourselves with the recovery of deleted emails of a PST file. Accidental or intentional deletion (emails deleted using Shift + Del keys). Emptied the deleted items folder by mistake. You still have possible chances to recover deleted email messages that are still present in “Deleted Items” folder even if you have emptied the folder accidentally. There is a hidden folder from where you can recover the deleted items back to Outlook folders. Step 1: Start MS Outlook and click on Deleted Items folder. Step 2: Look for Recover Deleted Items from Server on the ribbon. Step 3: Now, select the email messages you want to recover and click the Restore Selected Items option and click OK. Similarly, you can also try recovering contacts, calendars, tasks, etc. from the recoverable folder of Outlook. The most effective method of recovering deleted emails is Kernel for Outlook PST Repair, which has got its name proudly placed at the top of the email recovery brand list. Step 1: Launch Kernel for Outlook PST Repair and hit the Browse button to choose PST file for recovery. You can also search for PST file when you are not aware of the location of PST file using the Search button. 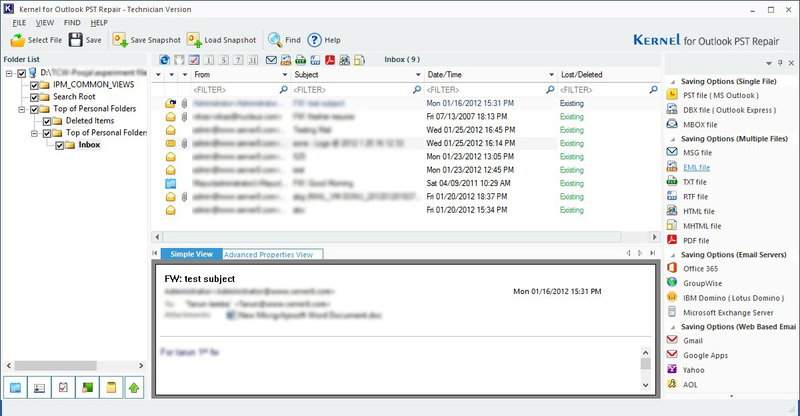 STEP 2: You can view all the content of the PST file including the emails. STEP 3: Choose PST file (MS Outlook) as output file format to save the data of the repaired PST file and click Next. 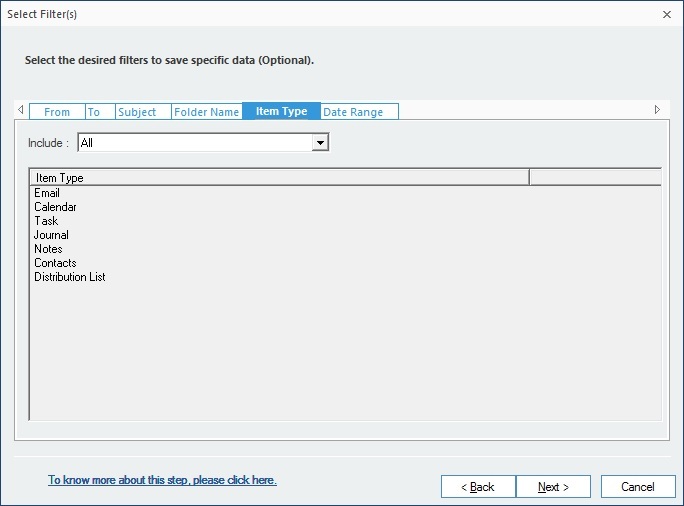 STEP 4: Select Emails from the filter list under Item type to recover all the deleted emails from the PST file and click Next. 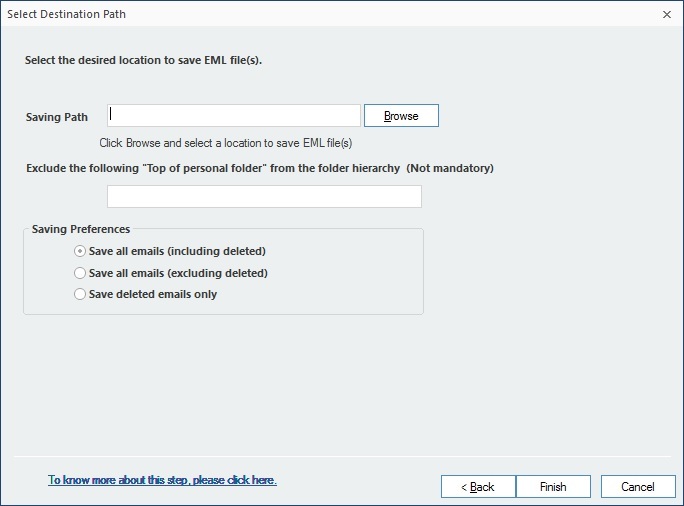 STEP 5: Provide the destination path to save the PST file successfully and click the Finish button. 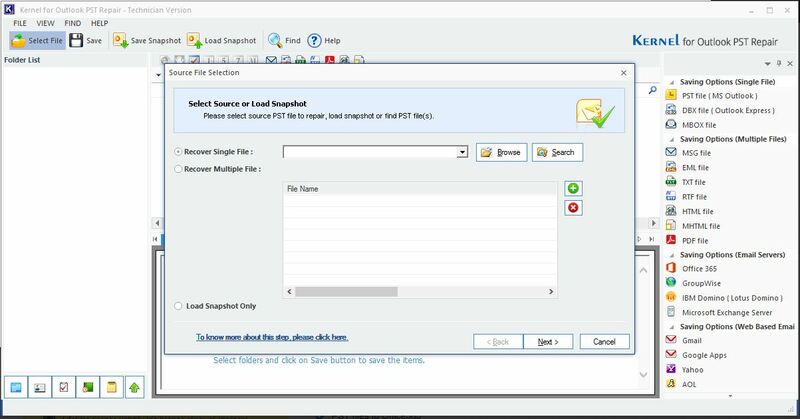 Once the PST file is saved successfully, the software will notify you as shown. Click OK and start importing the recovered emails to MS Outlook. If you have lost or deleted emails, you must not compact your PST files or must avoid saving of any new data, as there are chances of overwriting. Recovering deleted emails should be the first preference. 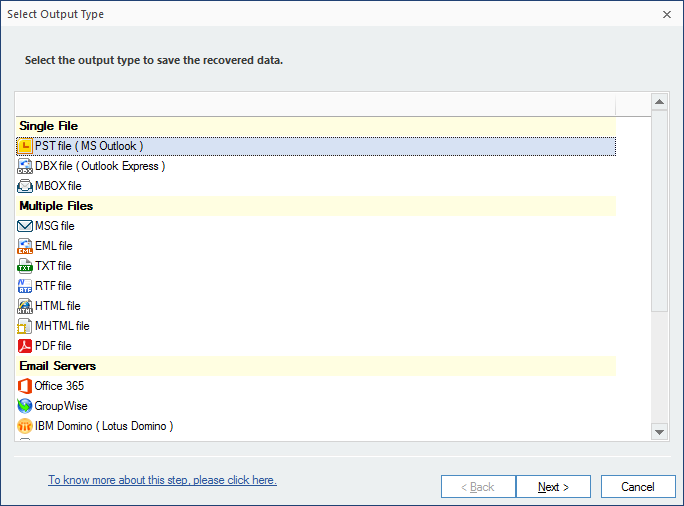 The deleted item recovery method in Outlook is very much simple. Also, you can recover deleted items using Kernel for Outlook PST Repair. I have deleted the outlook file from %local appdata% so ,I completely lost my PST data (5 GB came to 256 KB). but I have one 1 month older copy of the same PST can I recover the latest one month emails. please reply me if possibility is there .